I'm so excited to share some brand new cards featuring Kerri Bradford Studio stamps and digital cut files! Clean and simple cards are a snap with just a few sentiments, several ink colors, and die cut borders. I stamped greetings from the For You and Fresh Air stamp sets on 3” x 5 1/2” wide strips of smooth white cardstock using black Ink and the MISTI stamp positioner tool (so I could stamp the same greetings one on top of another perfectly for a bold, black design)! The florals were stamped in an array of springtime Lawn Fawn ink colors all over the backgrounds and then each strip was adhered to a standard A2 sized card base and finished with die cut borders from the Borderlines #3 Kit to compliment the design colors. I used the Lawn Fawn Inks in Ballet Slippers, Guava, Peachy Keen, Minty Fresh, and Carrot. Nuvo Crystal Drops in Morning Dew finish each card with subtle, clear dimension. 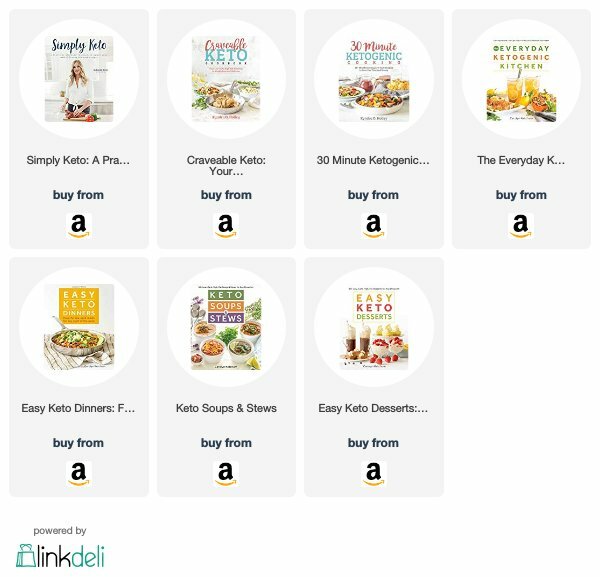 Click the codes below the thumbnails for links to where you can purchase the products shown in this post from Simon Says Stamp (SSS), Ellen Hutson (EH), or Kerri Bradford Studio (KBS). Where available I use compensated affiliate links at no extra cost to you. Thank you so much for your support! Today I'm sharing some Christmas In July Tags (the 2016 version). There's no better time to get a jump on creating Christmas tags for the holiday season than during the summer months before the craziness of fall and winter set in! I've created two sets to share with you today. One black tag set with colorful embossing and one white tag set with coloring ink stamping. Both sets are exactly alike in design but give different looks simply by changing up the inks/embossing powders used! I die cut a bunch of Office Tags from white and black cardstock using the Silhouette Digital Die Cutting machine. I stamped the same designs on both sets of tags by only changing up the inks for the white cardstock set and black cardstock set. Each tag set featuring the new Oh What Fun and Better Not Pout Stamp Sets. On the white tags I used dye inks and on the black tags I stamped with Versamark and heat embossed with multiple colors of embossing powder. I love the idea of creating multiples of a single design but mixing up the inks used for different looks. Finishing touches of baker's twine and gemstones adorn the tags. Just a reminder the sale on Christmas kits and free shipping on the five Christmas stamps ends Sunday! So here's the deal. I haven't scrapbooked in awhile. Most of my scrappin' supplies aren't new or even close to being new. And that's okay. Because photos and stories can be recorded with whatever you have on hand. I think what I love about the Silhouette and digital cut files (as well as stamps and traditional dies) is that they can be used with whatever paper and embellishments you have on hand, at any given time, to make your memories come to life. Kerri Bradford Studio is celebrating National Scrapbook Day all week long with daily specials! Today you can save 30% off photo templates (my favorite way to use photos on a layout!). I am a big fan of simplicity in my layouts. Repetitive elements, 1-3 color scheme and photo collages. My layout today was inspired by a Facebook post after my daughter and niece recently attended their first high school prom. I had included recent (NOW) photos with snapshots of them playing dress up with them were little (THEN). This is how 99.9% of my layouts begin. I almost always use my Silhouette to die cut elements for my pages. And probably 99% of the time I'm using Kerri's designs. Because they are my favorite. Kerri is awesome. ;) I import the photo collage I'm using, open up the cut files I think I'll use and size my elements to fit the photos. Then it's time to begin cutting paper and printing the photo collage. The greeting from the Around Here Kit perfectly expressed my feelings for these photos and gave me a great starting point for my journaling. I die cut the greeting from some glitter cardstock I had on hand. It was old from my stash. Probably from American Crafts POW collection. I think the color called it "Rocky Road" or something like that but to me it really gave off that rose gold look I was going for. The tabbed divider pages from the Plan It: Dividers kit don't have to be used to make a mini album. Tabbed paged are some of my favorites for creating a great journaling spot and in this case a journaling spot with room for a greeting above. Plus, those tabs provide the perfect spot for some stamping! Kerri’s stamps added the perfect additional touches to the text on the page. 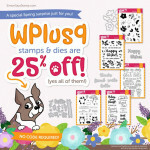 I used words, phrases, and images from her Line By Line Stamp Set and Tagged Stamp Set. I stamped everything with Versamark Ink and heat set with the amazingly awesome Simon Says Stamp Rose Gold Embossing Powder! I am in love with this embossing powder! Looks amazing with the patterned paper and other rose gold elements on the desgin! The tone on tone die cut heart background mixed with a few peachy pink hearts added interest and texture. I love how a die cut background brings interest to a design and when cut for a tone-on-tone look, it only adds texture and doesn't take away from the photos and story. Congratulations to Sandy M, the winner of the Simon Says Stamp May Card Kit from the giveaway on THIS post. I've emailed you! The winner of the goodie bag from the Simon Says Stamp My Favorite Release Blog Hop blog post is: Maureen Reiss! Kerri Bradford released a new Valentine's/love themed stamp set Monday that I just can't get enough of! I love mixing and matching the words and phrases from the new KBS XO Stamp Set for these sweet stamped tags! The gift box from the Santa’s Workshop kit is probably my favorite dimensional die cut ever. I sized my box pretty big so that I can fit lots of sweet treats inside for Valentine’s Day! I cut the bottom of the box from one 8 1/2 x 11 sheet of cardstock and the top of the box from another. I cut an assortment of cardstock and vellum tags and stamped images from the new XO Stamp Set on each tag. 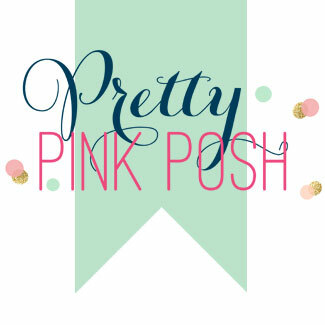 I love how the words and phrases mix and match to create such fun custom designs! I used both stamping and embossing and also dye inks, depending on the tags/design. I threaded a bit of colorful twine through each tag, wrapped each box with some pretty chevron ribbon and added a tag to each one. Simple, easy and oh-so-“love”ly! I love Valentine’s Day! Not only do these make great gift boxes for gift giving but they would make lovely decorations too. 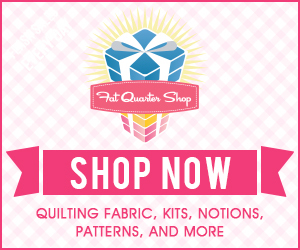 Welcome to Day 4 of my last minute Handmade Holiday 2015 Series! I'm back with another year of last minute handmade ideas! Even with the craziness of the season I like to be able to add handmade touches to gifts for our friends and family. All this week I'll be sharing quick (an hour or less) Handmade Holiday ideas for cards, tags and gift wrapping sure to add that handmade touch we all love. Most ideas will include multiples (today I created a set of 6 small die cut paper boxes and black tags with white embossing)! Last year I shared some elegant gold and white packages created with Kerri Bradford Studio digital die cut designs. This year I was inspired by the awesome Bella Blvd Clear Cuts Transparencies to create clear die cut gift boxes. And to keep it interesting, I die cut one from foil paper and a couple from glitter cardstock as well. I went with a traditional red/green/white color scheme with some bold black die cut tags with bright white embossing. I die cut tags from Simon Says Stamp Black Cardstock using the Christmas Countdown (tag round top) and Santa's Workshop (square tag). On the tags I stamped phrases and images from the Twinkle Stamp Set on the front of the tags and an image from the Tagged Stamp Set on the back of the tags. I stamped everything with Versamark Ink and heat embossed the phrases and images with white embossing powder. I die cut the boxes from Bella Blvd Transparencies, Doodlebug Cardstock, and foil cardstock using the box shape from the Santa’s Workshop Toys Only. I die cut bows from several of the cardstock sheets using a design from the same kit. I assembled all six boxes without the aid of adhesive. Adhesive could be used if you prefer but since I didn't want adhesive showing on the transparency boxes, I went without it on all of them. I assembled the paper bows using glue dots to secure the shapes. Then I started added twine, ribbon, bells, trims, and tags to the cute little gift boxes. I secured a black and white gift tag to each to complete these fun designs! Please leave a comment on this post for a chance to win a stamp set of the winners choice from the Kerri Bradford Online Store! Comment must be left by December 20, 2015, 11:59 CST. A huge thank you to Kerri Bradford Studio for sponsoring the giveaway today! Welcome to the Kerri Bradford Studio and Bella Blvd team up week! It's been awhile but I've got a new scrapbook layout to share with you all. I was afraid I would be completely out of practice on how to combine photos, paper, and embellishments to tell a story but this page came together relatively quickly! One of my favorite ways to showcase older, less-than-perfect photos is to frame them up and add clusters of simple embellishments to showcase the story. The filmstrips from the Click Kit are some of my all-time favorite shapes and make creating an eye-catching layout both quick and easy! Don’t feel like you have to include photos in all the openings. I filled the empty spaces with Christmas-themed patterned papers and embellished those frames for a fun and festive holiday layout! I die cut three film strips from the Click Kit, two with four openings and one with five opening.I die cut the film strips from both white cardstock and black cardstock and adhered the white film strip slightly offset over the black film strip for a shadowed look. I trimmed down my photos to fit behind some of the openings. For the openings where there isn't a photo, I die cut the rounded square from red/white or black/white Bella Blvd patterned papers. The title was created by combining the word "click" from the Click Kit die cut from patterned paper and black cardstock and "Christmas" from the Seasonably Said Kit die cut from black cardstock. I adhered both in between the second and third film strips on the layout. I finished the title with a stamped phrase from the Twinkle Stamp Set, stamped with Lawn Fawn Black Licorice Ink. I added a combination of stickers, buttons and a stamped tag to the patterned paper opening on the layout. I die cut the tag from the Attach It Kit and stamped a greeting from the Twinkle Stamp Set on the tag using SSS Green Apple Ink and Lawn Fawn Lobster Ink. I printed the journaling on a white strip of cardstock, rounded the two visible corners with the 1/8" corner rounder and tucked the strip under the left side of the third film strip. The letters below the thumbnails below link to stores where you can purchase the products used to create this card: SSS = to purchase from Simon Says Stamp, EH = to purchase from Ellen Hutson, SB.COM = Scrapbook.com. Affiliate links used. Earlier this week my good friend Kerri Bradford showcased these Christmas in July Gold + White gift tags on her blog and today I wanted to share them with my readers as well (and hey, I made a video, finally edited it, so I've included that as well!). I know that for many of us, thinking about the Christmas season seam cra-zy but it's going to sneak up on us before we know it and it doesn't hurt to have some of our Christmas crafting done early, right?! So apparently I am still super in love with the gold + white color combo for holiday. Or any day, really. But there's something so stunning and elegant about crisp white with a touch of gold for the holidays that makes my heart go pitter patter. Love it. To create my tags, I die cut a bunch of tags (20 total, 4 each of 5 designs) from Neenah Solar White cardstock using tags from several of Kerri's digital die cut kits (see below the last photo for info on which design came from which kit). Each of the tags is stamped with images from Kerri's two new stamp sets, Holiday Magic and Believe. Some of the tags I stamped with one image, some I used multiple images from the stamp sets. Everything was stamped with Versamark Frost Ink and heat embossed with gold embossing powder. I threaded Pretty Pink Posh white twine, May Arts gold metallic string, Lawn Fawn Gold Sparkle twine, and white silk ribbon through each of the tags. This tag design had a hole reinforcement design so I die cut that from some gold foil cardstock and adhered it to the tag(s). The twinkle tag? Yeah, if I had to choose I think that one's my favorite. Totally simple but I love the combination of the stars and the single word. Need a handmade gift? Tuck these tags into a vellum bag, tape it shut with some sparkly wash tap, secure a gold bow (made with one of Kerri’s designs of course!) and add one of the small tags to the front and voila!, a great gift! Pair it with roll or two of coordinating wrapping paper and tape and it would make a really great gift! The letters below the thumbnails below link to stores where you can purchase the products shown in this post and video: SSS = to purchase from Simon Says Stamp, EH = to purchase from Ellen Hutson, SB.COM = to purchase from Scrapbook.com, ME = to purchase from Mama Elephant, etc. Affiliate links used when possible. We sold completely out of our first shipment of stamps in the first 24-ish hours of the sale. Wow! I just want to thank you so much for all your support. I truly love what I do and continued to be humbled by the fact that all of you keep me motivated to create and create with your amazing support. humbled. Just so you know, all orders as of Tuesday afternoon are on pre-order and will ship within a couple of weeks. But they are still on sale all through this week, so be sure to take advantage of the sale and the pre-order! It ends Sunday. Be sure to click HERE to start shopping the Christmas in July Sale and to pre-order your stamps! Sale ends Sunday (that's tomorrow!). 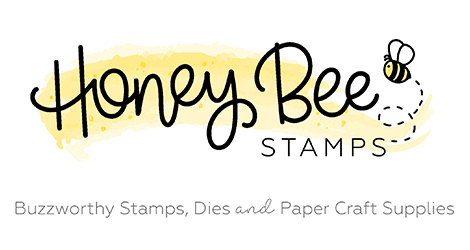 The winner of the my Craftsy class, Gorgeous Greeting Cards: Stamping & Beyond is Sharri Reeves. Congratulations Sharri! I've emailed you. Bella Blvd is hosting a day full of fun NSD blog posts showcasing layouts from the designers. There's giveaways, inspiration and lots of fun! I printed the text in a list-style format along the right side of a 12x12 sheet of white cardstock using a wide format printer (I use and love the Epson Stylus Photo R2000 Printer). I purposely didn't include bullets, etc. when printing the journaling and instead added stamped carrots from the Kerri Bradford Studio Line By Line Stamp Set to indicate each bullet point. I used bright inks from Lawn Fawn in Mermaid, Freshly Cut Grass and Sunflower. I left room between the two sections of journaling to add a die cut title from the KBS Around Here Kit. I added stamped phrases from the KBS Line By Stamp Set, KBS One Fine Day Stamp Set, KBS Time Stamp Set, and KBS Time Again Stamp Set above and below the title, and at the beginning and end of the journaling. I added a 4" square photo in the lower left corner of the layout and added Bella Blvd Campout Treasures and Text corner stickers to the photo. I added a tab sticker underneath the top edge of the photo and added more stamped text to the sticker tab. I die cut a bunch of butterflies from Bella Blvd patterned papers in yellows, greens and blues using a digital design from the KBS Design Secrets Class Extras Kit. I adhered the butterflies and added enamel dots to complete the design. Save 25% off Copic Markers through May 15th at Simon Says Stamp. Enter code COPIC. Be sure to check out the Bella Blvd Blog all day long for tons of scrapbooking inspiration! Love using sketches to inspire your scrapbook page layouts? Pagemaps offers some incredible inspiration and I'm excited to share a new layout inspired by a Pagemaps Sketch from their May eblast today showcasing the newest Bella Blvd Collections. I used one of Kerri Bradford's photo collages from her Snapshots #3 Kit for these fun photos of my youngest holding a turtle he found in the backyard one morning before school. Photo collages take the guesswork out of arranging photos on a layout and I love how easy they are to use. If you haven't used Kerri's photo collages before and want to learn more, be sure to check out her tutorials HERE. I trimmed the Bella Blvd Campout Collection In The Woods and Bella Blvd Campout Under The Stars patterned papers and adhered them on a white cardstock layout base. I applied a thin gold metallic washi tape where the two papers meet. I punched a half circle along the top edge of the paper and placed a heart sticker from the Campout Treasures & Text Sticker Sheet in the punched out circle. I layered another sticker from the Campout Trinkets Cardstock Sticker Sheet on top of the heart. At the bottom of the two patterned papers, I adhered a trimmed border sticker from the Campout Treasures & Text Sticker Sheet. I adhered letter stickers from the Campout Treasures & Text Sticker Sheet to spell the word, "backyard". I finished the title by die cutting the word "notes" from an Avery Elle Jewel 6x6 paper pad using a design from Kerri Bradford's Around Here Kit and adhered it below "backyard". I die cut a turtle using a design from the Silhouette Online Store from Avery Elle Harvest 6x6 paper and Bella Blvd Campout Let's Go Camping paper and adhered it next to the title. I adorned the turtle with a heart sticker from the Campout Trinkets Cardstock Sticker Sheet. I used a photo collage from Kerri Bradford's Snapshots #3 Kit for the two photos I chose for my layout. I printed the journaling on a Dear Lizzy Polka Dot Party paper. I used stamps from Kerri's Line By Line Stamp Set with Lawn Fawn Deep Sea, Mermaid and Freshly Cut Grass Inks. I added a tab sticker from the Campout Treasures & Text Sticker Sheet to the journaling sheet and "attached" it with a Tiny Attacher. I added a Doodlebug Blue Jean Clip and adhered both the journaling and photo collage to the layout. I "taped" up the photo collage to my page with Bella Blvd washi tape. I finished the page with a scattering of Bella Blvd Blueberry Enamel Dots. Be sure to check out all the May 2015 sketches and layout examples HERE. The Lawn Fawn design team is showcasing the new Pint Sized Patterns Beachside Collection today. I die cut the blue patterned papers into circle shapes using the Large Stitched Circles Dies and Small Stitched Circles Dies for this fun layout featuring my daughter and her good friend. I printed the journaling on a 12x12 sheet of cardstock. To create the title for my page I combined the awesome new Scripty Hugs Wood Veneer with a stamped greeting from Kerri Bradford's One Fine Day Stamp Set. I inked and stamped the phrase using the Lawn Fawn Mermaid and Lawn Fawn Deep Sea dye inks. I stamped the date underneath the journaling using Kerri Bradford's Time Again Stamp Set with the same inks. I trimmed a cut-away border from the bottom of one of the Pint Sized Patterns Beachside Collection papers and adhered it along the left side of the layout. I trimmed a thin strip of turquoise paper from one of the paper and adhered it along the border. Then I adhered a couple of washi tapes near the top of the strips to make it appear that they were "taped" in place. I die cut the stitched frames from black cardstock by stacking all the Large Stitched Circles Dies and Small Stitched Circles Dies and die cutting them all at once! It makes it super easy to get a bunch of different sized frames from one 4" circle. I die cut the Pint Sized Patterns Beachside Collection papers and a 4" photo from the circle dies and layered them behind the frames. I adhered the circles along the right side of the page and embellished with an assortment of Lawn Fawn Wood Veneer Hearts, enamel dots, phrase stickers, epoxy stickers and a badge.